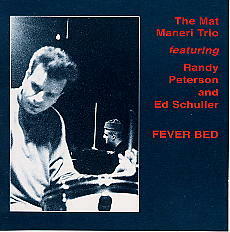 This is the second CD from the violinst Mat Maneri, on LEO LAB, but this time with different partners: Randy Peterson on drums and Ed Schuller on bass. The Trio explores Mat maneri's compositions by creating new musical relationships in a fluid and lyrical way; and the virtuosity of all three musicians allows for the uninterrupted flow of new ideas. Avant/chamber music you have never heard before; but the notes by Michael Sliwkowski and Randy Peterson could help you to understand how they do it.